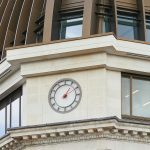 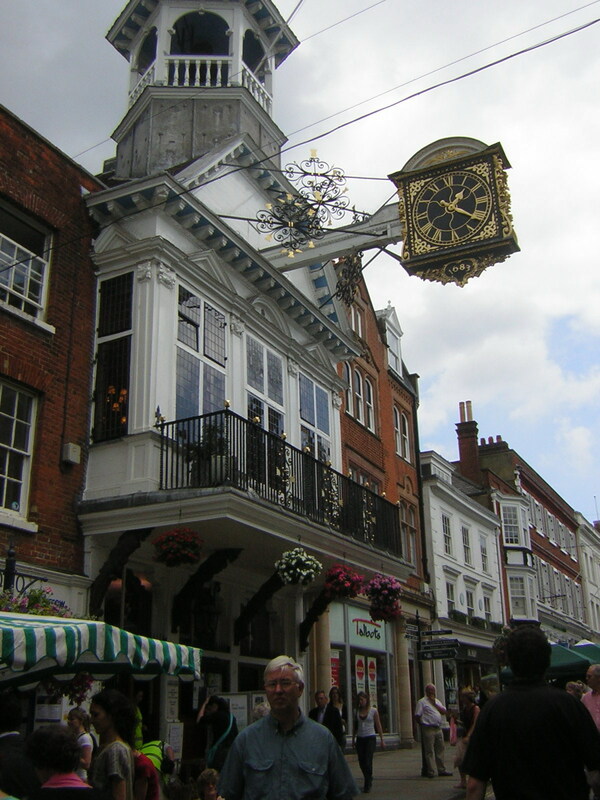 The clock, which projects over the High Street from the Guildhall, and which has regularly appeared on television, proudly displays its original date of 1683. 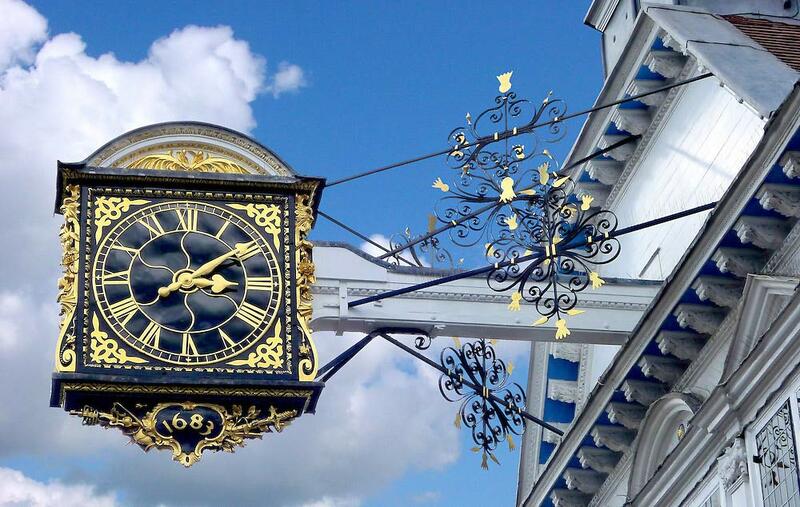 The case is made of English oak, has a cast iron internal frame and copper dials. 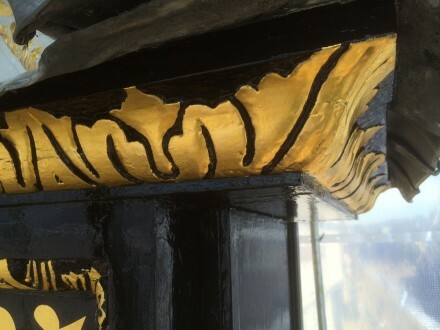 Conservation work included stripping off all the accumulated layers ofpaint, re-finishing and re-gilding with 231⁄2 carat Englishgold leaf. 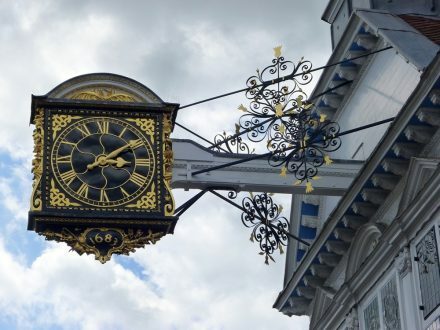 Additional repairs were made to parts of the mechanical clock movement which is a traditional two train type with recoil anchor escapement and had been cared for by Smith of Derby for many years. Daedalus Conservation also worked on this project and their woodworking craftsmen cut out and replaced parts of the timber casing which were causing concern. 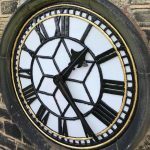 Smith of Derby clockmakers removed rust from all theironwork, applied anti-corrosion primer and re-finishedthe whole case in high quality exterior gloss paint. 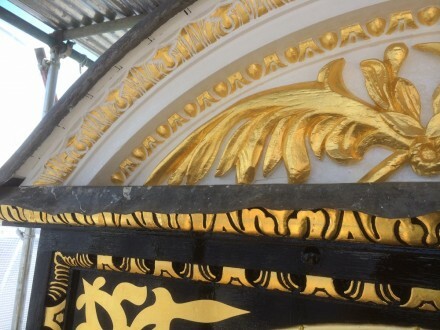 All this work was completed on-site.